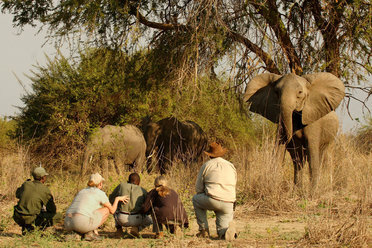 Safari Consultants, established in 1983, is the oldest specialist Tour Operator dealing specifically with Africa in the UK. Our speciality lies in creating individual itineraries for travellers to Kenya, Uganda, Rwanda, Tanzania, Zambia, Botswana, Zimbabwe, South Africa, Namibia, Malawi, Mozambique, and Madagascar. We can also extend holidays to include Mauritius and The Seychelles. Our sales staff are extremely well travelled and we have extensive knowledge of all our destinations as well as a wide range of safari and other accommodation. We cater for both the novice and experience safari traveller alike, with access to some of the best guides on the continent. We offer a personalised, individual and knowledgeable approach to each enquiry, and will carefully tailor that perfect holiday for you.